Think of your oven, furnace or other heat treat equipment like a high-performance vehicle that needs regular tune-ups to keep it running at peak efficiency. From steam generators in the oil field to forging ovens at a foundry to paint-drying ovens in an aerospace factory, make ACES your tuning and emissions testing pit crew for lean, clean-burning machines. Since 2003 we’ve brought machinery all over the country into compliance with state and national standards — including the stringent codes of California — by testing and tuning for O2, CO2, and NOx as well as stack temperatures. For example, a high exhaust stack temperature indicates a waste of energy, and is an opportunity to modify the burners to recapture more of the heat, conserving both natural resources and your gas bill. We strive to tune each burner and component to its best available level while maintaining a good burn, whether it’s fueled by natural gas, propane or diesel. In addition to burners, we’ll test and optimize gas regulators, gas valves, ignitors, modulation motors for air and gas, and other standard maintenance items. But we don’t just do the standard tests and tuning — our technicians are also trained as skilled troubleshooters, who think outside the heat-treat box when it comes to optimizing your machinery. For example, a recent client had cut back on production, making their burner too powerful for the current process. We swapped it out for a smaller burner more in proportion with the client’s needs, which streamlined efficiency and decreased emissions. In addition to qualified personnel, as the dealer for Ecom emissions analyzers in Kansas, our precisely calibrated equipment will ensure yours is tuned as accurately as possible — in fact, we’re the ones who test the instruments that do the testing. We recommend tuning and emissions testing every one to two years, depending on the industry and EPA regulations. In 2016 new EPA regulations took effect for existing boilers and process heaters (following regulations for new equipment in 2013). Read more about Subpart DDDDD here. 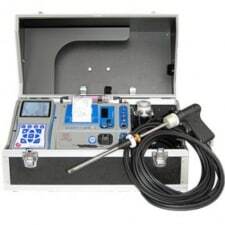 A written report is required by the EPA, and the ACES Emission Analysis Report will satisfy that requirement while providing you with a detailed before-and-after picture of equipment emissions, turning invisible gasses into concrete black and white figures showing where you were, and where you’re heading — quite possibly into lower gas bills and fewer headaches. Keep your equipment purring like a kitten. Call ACES for an estimate on tuning and emissions testing — we’ve got you covered.